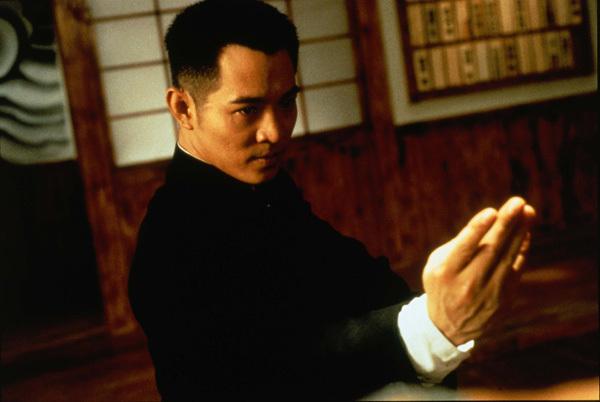 FIST OF LEGEND is generally considered to be one of Jet Li’s finest action films. It’s a remake of Bruce Lee’s FIST OF FURY, which is a two-part statement of intent right there: It tells you that A) Jet Li and his co-workers are feeling up to walking (and kicking) in Bruce Lee’s formidable footsteps, and B) This particular fist is so furious it’s legendary. The director of FIST OF LEGEND is the then-prolific Gordon Chan — which is great, because if you’re going to Americanize your name, of course you’re gonna go with “Gordon” — and the martial arts choreography was done by Yuen Woo-Ping, whose other famous work includes: CROUCHING TIGER HIDDEN DRAGON, THE MATRIX, KILL BILLs 1 & 2, and others. 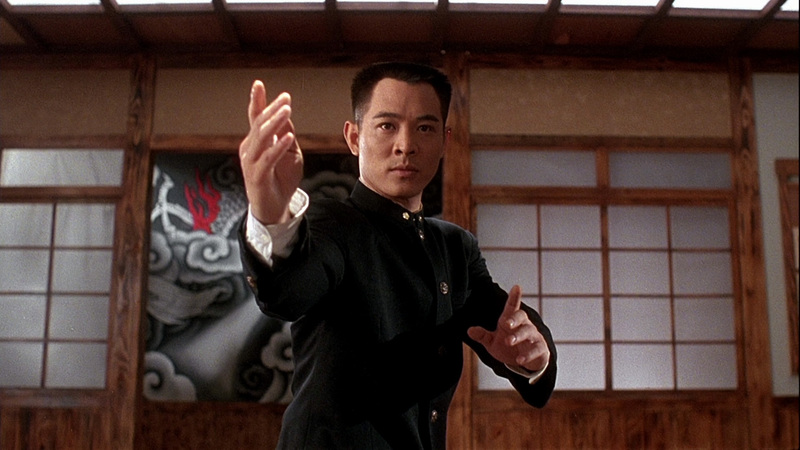 Jet Li, of course, is one of the most successful international action stars in the world, and on FIST OF LEGEND these guys were all operating at the height of their kung-fu-staging-and-enacting-and documenting powers. Well…um…actually, when you put it like that, it sounds a little bit like THE KARATE KID PART 2, or NO RETREAT NO SURRENDER or some other young-dude-against-impossible-odds action flick from the 1980s. And in fact, it plays that way a little bit too. This is strange, since this is the 1990s by now and Jet Li is, as so often happens, a little old for the role he’s playing. Jet Li plays Chen Zhen (rad), the mild-mannered university student who-don’t-want-any-trouble, but the mean men in Japanese army uniforms — personified by a tall nasty customer who would have been played by William Zabka if this movie wasn’t so Asian — just won’t leave him alone. After some feigned reluctance, Jet Li steps up and wipes the floor with his oppressors, in some cases literally. This movie isn’t super-violent, nor does it need to be. It’s relatively mild, not at all gory, but the fights are world-class. Look, I’m not that complicated. Sometimes I just want to watch Jet Li kick a whole mess of mean guys across a room. FIST OF LEGEND gives you plenty of such scenes, in triplicate. Well worth watching and more than once if you’re even remotely a fan of the genre. 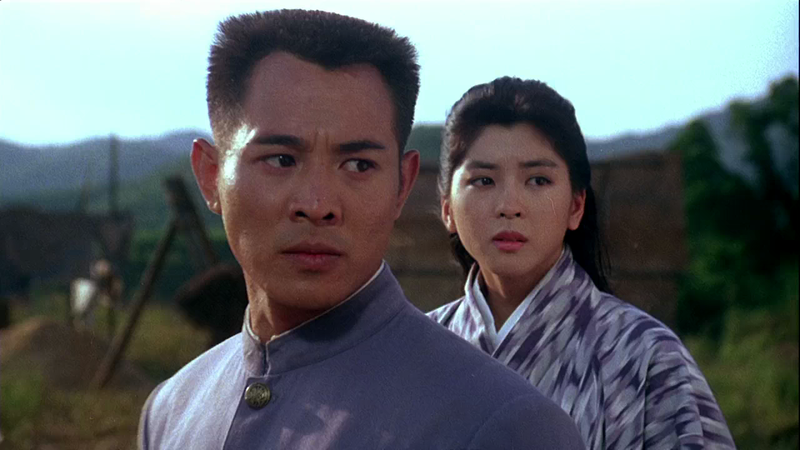 One thing I love most about ‘nineties movies, though: Even the Asian guys have hi-top fades. FIST OF LEGEND plays at midnight in Los Angeles, courtesy of Cinefamily’s Heavy Midnites!